Based on child-led exploration and discovery-based play, our sessions are led by experienced Early Years specialists, and incorporate movement, song and storytelling, investigation and mark-making. We are currently developing our Early Years programme to offer a range of outdoor, creative learning sessions for our very young learners. Explore the wonders of nature through the spring and summer seasons. From nesting birds to green shoots, buzzing bees and blooming buds, there’s lots to explore and discover! This session includes a creative, hands-on trail out and about in our woods and gardens as well as child-led activities in our wooded glade and summer ‘Makers Cabin’. Early Years groups are welcome to explore Harewood at their leisure – meet the penguins and birds in our Bird Garden, have fun exploring our gardens and the House or playing on the Adventure Playground. 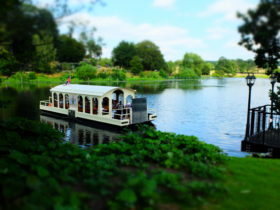 Our Chain Ferry is an exciting addition this year, allowing visitors to sail across the Lake to reach the Walled Garden. We have plenty of trails for you to download, from the minibeast trail to dressing up downstairs. 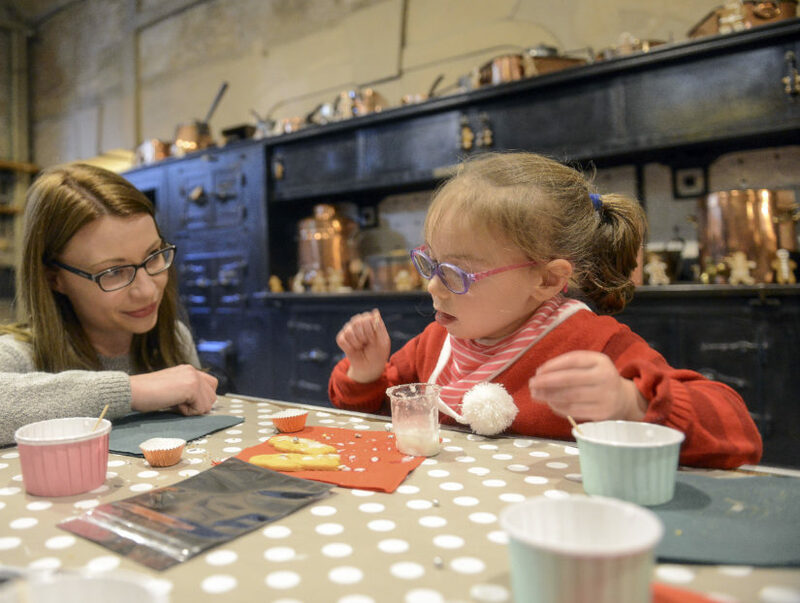 Our ‘Curiosity Cabin’ is a new drop-in activity space full of activities and resources suitable for young learners to explore as part of your visit. This can be booked in advance by schools on self-guided visits. We can also support EYFS groups in planning a self-guided visit to Harewood and are happy to discuss any ideas you may have.